Choosing the right reciprocating saw is surely a daunting process, especially when the industry offers so many options to choose from. But the good news is that there's always a tool that best suits every degree of a craftsman. When the need for buying a reciprocating saw arises, your preference should be the type that makes quick cuts. Generally, project managers like me prefer cordless saws with combination blades because the nature of my work requires that I deal with all types of materials. So, I chose an electric saw that was versatile; one that allowed me to cut through fiberglass, metal, wood, and masonry the way I wanted. This was the best reciprocating saw type for me that fitted well with my DIY purpose. But your need for a saw might not align with mine. So, it's right for you to choose wisely. My team and I have prepared a top 12 reciprocating saw list with a buyer's guide as well so you can easily choose yours as per your individual needs. Read on to find your best match! What Is a Reciprocating Saw & Why Use It? The reciprocating saw is a handheld power tool with a long blade that operates on a push-and-pull motion. Usually, this type of saws is versatile and available in different sizes. Also, a reciprocating saw may come with carbide-tipped, bi-metal steel, diamond, carbide grit, or combination blades. Unlike the jigsaw's short and narrow blades, reciprocating saws have extended and wide blades. Any powerful reciprocating saw can cut tree limbs, screws, PVC pipes, and nails quite easily. Woodworkers use them as carpentry tools to carve holes on drywall and make cutouts in plywood. They are also used during building constructions, and for hacking through walls. So, there are versatile reciprocating saws that might be suitable for metal, fiberglass, wood, or concrete materials. Some of the unique features of a reciprocating saw are its high-speed blade, stylish exterior casing, and powerful motor. If you have never used a good reciprocating saw, then you must find the features that match your needs before purchasing one. You should also be familiar with how reciprocating saws work. A top-rated reciprocating saw must have a high degree of precision, anti-slip comfort grip, and an impressive stroke length. Your safety and convenience should be considered before choosing any product. So, while looking for a reciprocating saw that cuts quickly, take advantage of the features it offers. You might want to prune your garden, and need a lightweight cordless reciprocating saw. However, rugged, small reciprocating saws are ideal for craftsmen that are working within closed indoor spaces. Whatever becomes your preference, always remember there are important factors to consider before buying saws. Check the amp ratings of electric saws if you are in doubt about their power outputs. The power output of an electric saw is a salient feature that determines its performance. Usually, the average power rating of a corded saw has an output of between 5 to 15 amps. It's ideal to choose corded saws with outputs of between 7.5 to 10 amps for medium-duty tasks, and between 11 amps to 15 amps for tougher tasks. Saws with smaller amperage of between 5 to 6 amp are for light-duty tasks. However, you might find battery-powered cordless saws with voltage ratings of between 18 to 20 Volts. When the battery of a 20-volt cordless tool is full, it will begin to drop during work. So, it's nominal voltage will become 18 volts as the battery discharges its juice. Portability is a factor of consideration when you are in doubt about the pros and cons of corded and cordless reciprocating saws. There's a limit of distance while using corded power tools. The distance between the point of use and an electrical outlet is equal to the length of the power cord. Usually, corded reciprocating saws are not battery-operated. So, corded types are ideal if your project involves the use of electric saws for a longer duration. Control buttons and variable speed settings are two common features with cordless reciprocating saws. Normally, they are battery-operated, portable and can be used vertically or horizontally. Unlike corded tools, cordless reciprocating saws offer much ease of use. However, workmen can experience downtime when the battery of cordless saws fail to charge or runs out of juice. Comparatively, cordless reciprocating saws are more convenient, and they make a better choice. Unlike straight or single plane settings, the orbital functionality of a reciprocating saw cuts in an oval (elliptical) pattern. When they cut objects into shapes, saws with orbital blade settings are more aggressive. However, the movement of a standard reciprocating saw blade when it cuts is up and down. Of the different types of saws, this type doesn't make faster cuts like the orbital version. So, it's the purpose of your work that determines the type of saw blade. Usually, the speed control knob of a reciprocating saw is adjustable. Its variable (different) speed setting allows the user to choose the efficiency of the blade's movement. However, the best speed setting will improve your saw's longevity. It's dangerous to use power tools like reciprocating saws that you can't control. Weight and size are important because a workman needs stability to handle a moving saw blade. More so, saws for prolonged use are better for overhead tasks if they are lightweight. More so, heavy duty saws might give vibrations that if they are large power tools. You should know your weight limit if you plan to wield your saw for long periods while working. The size of a saw is an important consideration you will be working within a small space. Usually, the average stroke length value of the reciprocating saw is between 1 to 1.25 inches. Your saw will cut faster with more stroke length value. The stroke length also determines how far a reciprocating saw cuts through the material. However, the average speed of a reciprocating saw is between 2700 to 3000 strokes per minute (SPM). When a reciprocating saw comes with higher amperage, its cut is swifter and deeper. So, it's easier to control fast-moving blades. Though there are differences between jigsaws and reciprocating saws, the jagged edges of jigsaws and reciprocating saws are almost similar. However, the former has narrow and short blades unlike the extended blades of reciprocating saws. Usually, the length of reciprocating saw blades varies between 3 to 12 inches. You stand the risk of buying the wrong power tool when you choose the wrong blade. Instead, a material-specific blade can slice through any object of your choice. Highly improved saws use side knobs to operate their tool-less blade change mechanism. Blades of reciprocating saws are never too dull to slice your fingers. So, safety is a concern when changing or using saw blades. High-speed steel (HSS) blades are harder than regular metals; they are suitable for hardwoods and have a longer lifespan than carbon steel. Carbon steel blades often go dull quickly after cutting hardwoods and are inexpensive because they are easy to find in the market. Combination blades are versatile because they can be used as general-purpose reciprocating saws. Bi-metal blades are harder than carbon steel blades and have a longer life span too. An example of this blade type is the carbide-tipped blade. Carbide-grit blades are for heavy-duty and medium tasks because they have abrasive on the edges of their blades. You can use these types to cut through fiberglass, brick, ceramic, and marble. The battery of a cordless reciprocating saw might come with an option of between 18V to 20V (voltage ratings). A 20-volt cordless saw can deliver 3,000 strokes per min, and they have longer run time. When the battery life is great, and it takes between one to two hours for a full charge. Additionally, the life of a battery depends on the amount of time, and work done by the saw's motor. The to and fro motion of a saw blade can cause vibrations. Some reciprocating saws come with vibration control mechanisms and knobs to control the feature. This anti-vibe control feature removes the vibration from a reciprocating saw. It's more comfortable to use saws with vibration stabilizers. The exterior casing and handle grip of reciprocating saws may vary according to their quality and brand. Their exterior design might be aesthetically improved to make it appealing or easy to use. Usually, non-slip grips and rubberized handles will ensure steady handling when the reciprocating saw vibrates during work. For safety reasons, you should consider a saw that's comfortable in your hands. The adjustability of a saw's shoe adjustment is controlled by the extension lock button. It allows for customization of the blades' length and helps you utilize the power tool in different positions. Also, this feature controls blade visibility. Check for reciprocating saws with available accessories before buying them. Also, a warranty document will help you replace the product at no cost when there's a fault. However, an electric saw with no warranty might not offer much value for money. Price is a foremost determinant for low and high-end products. Usually, low-budget reciprocating saws don't come with sufficient features. Even when they perform flush cuts around materials, they might lack durability. Efficient, rugged and durable reciprocating saw brands will cost extra bucks than simple brands. In order to make this top reciprocating saw list, our team of experts did 20 hours of research online to locate the most popular and effective saws available today. Though there are different types of electric saws, they have some basic features. Our team of saw experts analyzed these features and compared them with the results from field tests. Also, a group of volunteers joined our team to see how well these models of reciprocating saws were in terms of offering deeper and swifter cuts. Also, many reciprocating saw owners shared with us their first-hand experience of using saws of different brands. After sampling opinions from every category of users, our team compared these updates with the specifications and features of the respective models. Usually, every manufacturer claims to have a superior product. However, our team of experts didn't find a perfect reciprocating saw while testing them. We had to keep in mind that each saw has its own pros and cons and different category of users have different woodcutting needs. That’s why we categorized them based on their features, ratings, popularity, durability, and so on. With so much effort given here, we believe this is one of the best reciprocating saw reviews you will ever come across. Novice users and first-time buyers of reciprocating saws might not know what makes a high-quality product. However, they might desire reciprocating saws that offer the best value for money. Our review unveils the best reciprocating saw that efficient, durable and fits your purpose. To guide you wisely, a team of experts has put a comprehensive review of the twelve best reciprocating saws. This buying guide is for expert and new reciprocating saw buyers that have a different budget for these products. The 20-volt MAX COMPACT DCS387B Cordless Reciprocating Saw by DEWALT has a lightweight design, and gives much ease of use. It's ergonomically enhanced with bright LED light to promote safety while working in dark areas. Apart from this built-in illumination feature, here are some reasons this cordless saw is in our top picks. Variable Speed Trigger with 2,900 SPM: It has an impressive stroke speed that allows swifter and deeper cuts. Also, it's easier to control its fast-moving blades and grind through any material with 3,000 strokes per minute rating. Easy Blade Change: Apart from its impressive stroke length of 1-1/8 inches, this reciprocating saw comes with a lever-action 4-position blade clamp. These features allow the operator to change the blade quickly (in four directions) and use the saw for different tasks including flush-cutting applications. Ergonomically Enhanced: The lightweight design of this reciprocating saw makes it compact. Its total length is 14 inches; this power tool fits between studs and offers the user the ease to make cuts in confined spaces. More so, while making precision cuts, the saw's pivoting shoe offers versatility. LED illumination: There's no excuse for not working late at night or in dark areas. This reciprocating saw has a high-quality, bright LED light for illumination. The output of this LED lamp doesn't drain the saw's rechargeable battery. The battery and charger are sold separately. The 20-volt MAX COMPACT (DCS387B) Reciprocating Saw by Dewalt is fast and efficient. With a maximum rating of 2,900 strokes per minute and a 1-1/8-inch stroke length, operators will experience fast cutting speeds. Unlike older models of Dewalt's DCS380B series, this 20-Volt Max Cordless Reciprocating Saw comes with impressive features. More so, it comes with a bright LED light to illuminate dark work areas. It's the ideal electric saw that can assist people with poor vision. So many features of this versatile reciprocating saw and that too at an affordable rate make this a must-buy for you if want to do quick cutting of woods. This powerful 12-Amp corded reciprocating saw from DEWALT is intended for heavy-duty applications. Its 12-amp motor is a toughie and allows for a long period of operation. The high-speed blade offers precision cuts and allows operators to control its speed easily. Let’s share the amazing features of this powerful reciprocating saw. 12-Amp Motor: Usually, corded reciprocating saws with higher amperages have powerful built-in motors. With a 12-amp motor design, operators can undertake heavy-duty applications and slice through the toughest materials. The 4-position Blade Clamp: Its 4-position blade clamp makes the saw a versatile power tool that can be used in any tight workspace. Also, the blade's adjustability allows for flush cutting and multi-tasking. High SPM: This corded saw maxes out at 2,900 strokes per minute to optimize the power of its high-speed blade. So, an operator needs to be very skillful to use the variable speed trigger as a control mechanism when the speed is set at the maximum. It also comes with a 1-1/8" stroke length for deeper cuts. Blade's High Tensile Strength: The tensile strength of the metal blade makes this saw a compact unit. This high-performance blade offers seamless cuts through nails, fiberglass, wood, and drywall. 1-1/8-inch stroke length gives deep penetration and fast cuts. Short power cord length that puts a limit to your working range. This is the right product for home improvement projects and workmen that need reciprocating saws for heavy-duty tasks. The 12-amp motor design offers high performance and allows for long hours of work. It comes with a compact unit that has adjustable speed settings of between 0-2,900 strokes per minute. More so, with a bright yellow housing, it's difficult not to distinguish this electric saw from other products while working on site. You can be sure of finishing any task within timelines if the reciprocating saw has a high-performance drivetrain for aggressive cutting. This 20-volt Cordless Reciprocating Tigersaw from PORTER-CABLE has a compact design that allows for work in cramped spaces. Let's glance through other features that qualify this product to be among our top picks. Variable-speed Trigger: The Porter Cable MAX Lithium Bare Tigersaw provides increased control with the aid of its variable-speed trigger. The button allows operators to regulate the blade's speed. Tool Free Blade Release: The blade's stroke length of one inch doesn't need a tool for quick and easy change. Instead, its compact design allows the blade to slice through hard-to-reach places. While cutting the pivoting shoe offers easy maneuvers around objects. 20V Lithium-ion Battery: This cordless reciprocating saw comes with a built-in, powerful 20V lithium-ion battery. The juice can serve long hours of outdoor operations after charging the battery for a few minutes. Powerful Speed: This PORTER-CABLE Reciprocating Tigersaw is one of the most powerful hand tools with a maximum no-load speed setting of between 0-3,000 SPM. Its high-performance motor helps maintain speed for multiple cutting applications. This PORTER CABLE model is the perfect choice for workmen and homeowners that need a rugged reciprocating saw. It will be a great addition to your home workshop toolbox and can be used outdoor for long working hours. This is the product to buy if you are looking for a budget-friendly reciprocating saw. The Cordless 20-Volt Max Lithium Bare Reciprocating Saw from BLACK+DECKER is powerful enough for everyday DIY and professional tasks. Let's check out the most exciting features of this lightweight cordless saw. Variable-Speed Trigger: Depending on the task at hand the saw's variable speed trigger allows operators to set their desired speed with ease. This reciprocating saw also comes with a non-slip handle that helps reduce the effect of vibration on the user's hands. Tool-free Blade Change: This power tool is ergonomically enhanced with a tool-free blade change feature. It allows the operator to adjust the 7/8-inch long blade without tools when using this saw at vertical or horizontal angles. Safety knob: This BLACK+DECKER BDCR20B Reciprocating Saw comes with a switch lock-off safety feature. When the safety knob is in the 'OFF' position, it prevents unintentional operations. So, the motor can't activate the fast-moving blade from hurting anyone except the knob is in the ON position. Lightweight for Outdoor Use: This lightweight reciprocating saw offers a maximum of 3,000 strokes/minute. It's powered by a Lithium-ion battery that has a maximum rating of 20 volts, and a nominal voltage of 18 volts. The cordless Lithium Bare Reciprocating Saw by BLACK+DECKER is quite easy to use. It comes with an adjustable pivoting shoe that allows operators to change the 7/8-inch blade quickly. However, this product is intended for buyers that need cordless reciprocating saws with a built-in dampener for reduced vibration. The XR Brushless Design: This cordless power tool comes with a built-in brushless motor that optimizes speed and offers 2.5x more run time. While working, the XR brushless motor helps operators keep up within the timeline and complete their task faster. Bright LED Light: Unlike traditional reciprocating saws, this DCS367B series by DEWALT helps you see dark corners while working. This XR brushless compact reciprocating saw has a bright LED light that assists your vision while working late at night or under poor visibility. Variable Speed Trigger: With a maximum speed setting of 2,900 strokes per minute (SPM), operators can get the performance they need from this compact unit. The variable speed button on this reciprocating saw is easy to control by a single push. Stroke length: Its 1-1/8 inch length allows the fast and efficient blade to slice through hard-to-reach corners while working. And the sharp blade edges are suitable for heavy-duty work. This cordless saw is quite pricey, considering that you'd have to purchase the battery separately. This tool is the right product to buy if you're looking for a lightweight, compact saw with a highly-efficient efficient motor. This DCS367B Reciprocating Saw has a 20-volt battery that provides optimum power. So, the XR brushless motor can generate 2.5x more run time to complete your job done in record time. This Heavy-Duty Air Reciprocating Saw by Ingersoll Rand is one of the best rated in our picks. For many reasons, this versatile saw has an output of 10,000-strokes per minute, and it uses air compressor systems. Impressively, this power tool comes with highly-aesthetic housing. Let's see other exciting features that make this reciprocating saw a must buy! Ultra-lightweight design: The reciprocating saw weighs only 1.32 lbs, and has a high performance. While working with pneumatic tools that have ultra-lightweight, it makes the task easy and quick. Operators will not experience fatigue while working on overhead tasks. 10,000-strokes per minute: This air-powered reciprocating saw comes with six units of high-speed cutting blades. They are small, easy to maneuver, and can get into tight areas to ensure deep cuts. Also, the blade can deliver a maximum of 10,000-strokes per minute; as it's held by a blade retainer with an adjustable blade guide. Powered by Air Compression: It comes with an air compression system and a lock-off throttle switch. There's no risk of electrical shock during operation because this power tool is air-powered. Additionally, the unit takes an average air consumption of 8CFM and a maximum value of 15 CFM. Versatility: The Ingersoll Rand 429-series reciprocating saw is versatile and can be used at vertical and horizontal angles conveniently. It can offer intricate cuts on hard materials, radius curves on both curvy and flat surfaces. The package comes with six high-speed steel blades and two hex wrenches. The 11-amp motor reciprocating saw from Makita is compact with a versatile design for a range of tasks. It comes with an extension lock button, shoe adjustment, and a tool-less blade change feature. Let's discuss why this Makita JR3050T model made in this list. Non-slip Grip: The housing and non-slip handle of this corded saw are ergonomically improved with durable materials. A heavy-duty saw that weighs 7.1lbs with dimensions of 80 x 4 x 10 inches should have a convenient handle that enhances safety. The non-slip grip that comes with this product is soft and offers increased comfort for users. Variable Speed Trigger: The trigger can be operated with two fingers, and there is a lock-on button for safety. Also, this variable speed trigger design maxes at 2,800 SPM and works with an 11-amp motor. This feature offers precise cutting on a range of materials. Lightweight Design: This corded saw is a lightweight (7.3 lbs) and well-balanced design. The operator can undertake heavy-duty applications for long time durations without fatigue. It's ideal for builders, remodelers, metal fabricators, carpenters, and plumbers. Tool-less Blade Change Design: With a stroke length of 1-1/8 inches for faster cutting, operators don't need tools to adjust the settings of this high-performance saw. Instead, this product comes with a tool-less blade change, and shoe adjustment features. The Makita 11-amp JR3050T reciprocating saw has a built-in dust blower system that ensures proper maintenance after use. Particles of sawdust reduce the efficiency of a saw's rotary motor, ball, and needle bearings. However, this product comes with a rubber boot to protect its motor and bearings. Generally, the JR3050T model is for buyers that need durable reciprocating saws. This 7.5-Amp corded reciprocating saw from SKIL is ideal for low-budget buyers. It's one of the few rugged, lightweight corded reciprocating saws that anyone can get at a reasonable price. Let's see why our team of experts included this product in our top picks. Vibration Control: This saw's blade and motor run well like a champ, but the vibrating force of power tools is a factor for high maintenance cost. However, this SKIL 9206-02-series comes with a built-in counter-balance damping technology for vibration control. A Sturdy Construction: The strength of a material determines a product's durability. This SKIL 7.5-Amp corded reciprocating saw might have a simple design, but it consists of a heavy-duty metal gear housing. Regardless of the ruggedness of its exterior cover, this saw has a lightweight and it's convenient for use. Tool-Less Blade Change: You don't need a set of screwdrivers or an Allen wrench to make blade adjustments. While working on a task, operators can make easy blade changes quicker than traditional reciprocating saws. A Stable Pivoting Foot: There's a need for stability when the variable speed control knob is you at a maximum level. It's the pivoting shoe that provides extra stability when you flush-cut tough materials. The SKIL 9206-02 Reciprocating Saw is a powerful, fast, and efficient cutting tool that provides sufficient power for quick completion of jobs. Apart from completing small DIY projects around the house, this saw can handle medium-duty tasks. It's the right product for those who need reciprocating saws with metal gear housing. The DCS380B from DEWALT is a 20-volt powerhouse of a cordless reciprocating saw. This power tool comes with a variable-speed motor that provides a maximum of 3,000 strokes per minute, and cuts through any task you throw at it. It seems to have an impressive output of power. Let's explore other salient features of this DEWALT DCS380B saw. Blade Length: The 1-1/8-inch aggressive stroke length of this saw's blade delivers much penetrating power through hard materials, and offers faster-cutting speed. Also, the high-speed blade is protected by a pivoting adjustable shoe. This shoe offers the blade depth of cut control. Variable Speed Trigger: The variable speed control delivers between 0 to 3,000-strokes per minute (SPM) for faster-cutting speed and increased blade control. PVC pipes, fiberglass, hardwood, and concrete materials can be sliced with ease. The 4-position Blade Clamp: After adjusting the blade, you can make flush-cuts from tight angles, vertical and horizontal positions. It's the 4-position blade clamp feature that increases your positional versatility in limited clearance. Long-lasting Battery Life: The juice in this 20-volt MAX Lithium-ion battery can serve for long hours so you can use it for different purposes without any interruption. This battery only requires you to charge it for some minutes before enjoying its high-performance. Also, the 20V MAX system increases the application speed by 2.88x, adds 82% more power, and 181% of runtime. 4-position blade clamp allows you to make keyless blade changes. The package doesn't come with a case, battery, and charger. So, you should think about buying them separately. It's only a reciprocating saw's motor with sufficient strokes per minute output that offers blade control and faster-cut speed. This DEWALT DCS380B cordless 20-volt MAX product is always ready to slice through any material that gets into its path. It has a high-performance 1-1/8-inch that can be adjusted to four positions. Buyers in need of high-quality reciprocating saws will like this product. This 18-Volt Cordless Reciprocating Saw by Ryobi gives you the freedom to get jobs done anywhere. It's a lightweight, powerful reciprocating saw that can demolish buildings, cut trees, and metal studs during general constructions. Also, the aesthetic beauty of the housing is another impressive feature of this reciprocating saw. Here are other reasons to buy this power tool. Anti-vibration Handle: It comes with built-in anti-vibration mechanisms that make you comfortable while working. During reciprocating applications, the rattling noise is reduced because of the anti-vibration dampening springs and rubber plates. So, your shoulder and elbow joints will experience less fatigue even if you work with this tool for long. Tool-less Blade Change: A tool-free blade change feature allows you to adjust the blade settings without using an Allen wrench. When the need arises to maneuver the blade in tight positions while working, you can slide and lock any compatible T-Shaped blade into the unit. Rubber Over-mold: The non-slip handle allows you to keep a grip on this cordless reciprocating saw, even in slippery conditions. This rubber over-mold on the power tool's handle is soft and durable. Variable Speed Control: The 18-volt Ryobi P515 series saw's blade has a 7/8-inch stroke length and a variable speed motor. This power tool works seamlessly when the variable speed control is set at the peak of 3,100 strokes per minute. So, there will be more pressure on the trigger for more cutting speed. The Ryobi P515 cordless reciprocating saw is highly improved with anti-vibration handles. More so, because of its variable speed peak setting at 3,100 SPM, the power tool is quick, powerful, and offers flush cuts with ease. This Ryobi product is for buyers that need efficient reciprocating saws but have low budgets. The DEWALT DC385B-series 18-volt cordless reciprocating saw will slice any object that it hits. This package comes as a bare tool (without a battery or charger), but it's pricey because of the unique craftsmanship. Let's explore all the features behind this cordless reciprocating saw's high performance. The 4-position Blade Clamp Design: You can adjust the position of the blade while working in tight spaces or need to hold this power tool at awkward angles. The 4-position blade clamp feature increases the DEWALT DC385B saw's versatility. Tool-less Blade Change: When you need to replace the blade, it can be done without an Allen wrench. It's easier to use the built-in lever-action keyless blade clamp for quick blade changes. Anti-slip Handles: Even in slippery conditions, the DEWALT Cordless Reciprocating Saw's handle offers a comfortable grip. The handle is covered in an anti-slip rubber mold material that provides increased control and comfort. Pivoting Adjustable Shoe: You'll need some level of stability for the high-speed blade when cutting through rough concrete and tough materials. This reciprocating saw comes with a pivoting adjustable shoe clearance at the top for maximum stability. This DEWALT DC385B cordless reciprocating saw is ideal for heavy-duty applications. It will bring you a high-level of confidence for a wide range of cutting applications. While shopping for power tools, it won't be easy to find a durable product like DEWALT. So, your decision to purchase this model might offer much value for money. The BLACK+DECKER BDCR20C is your best bet if your hobby is gardening and you need to use a reciprocating saw for pruning tasks. However, with its powerful 3000 SPM motor, this power tool can handle some medium-duty reciprocating applications. Let's see some amazing features that come with this product. Tool-free Blade Change: The lightweight cordless Black+Decker reciprocating saw offers you more convenience by using the keyless and adjustable tool-free blade change mechanism. It means that you wouldn't need a special tool like an Allen wrench to switch the blades. If you know the different types of reciprocal saw blades, you will easily realize how useful this feature is. The 20V Max Power: The 20V Max Lithium-ion battery add more run time, and power to your reciprocating applications. Also, after charging the Li-ion battery to its full capacity for a few minutes, it can hold up for long hours while working. Variable Speed Trigger: The variable speed trigger offers a blade speed range of 0 to 3,000 strokes per minute. This features also works with a built-in electric brake system that enhances the control of speed. So, controllable pressure is always on the speed trigger for more cutting speed. Anti-Slip Handle: This BLACK+DECKER BDCR20C model's handle is covered with a non-slip rubber over-mold that enhances your grip. While working under the rain or in slippery conditions, there's no worry about losing your grip. Instead, this cordless reciprocating saw is soft and gives convenient handling. After working for less than an hour, the tool's motor and battery units become very hot. This Black+Decker cordless model is a light-duty reciprocating saw for medium-duty applications. 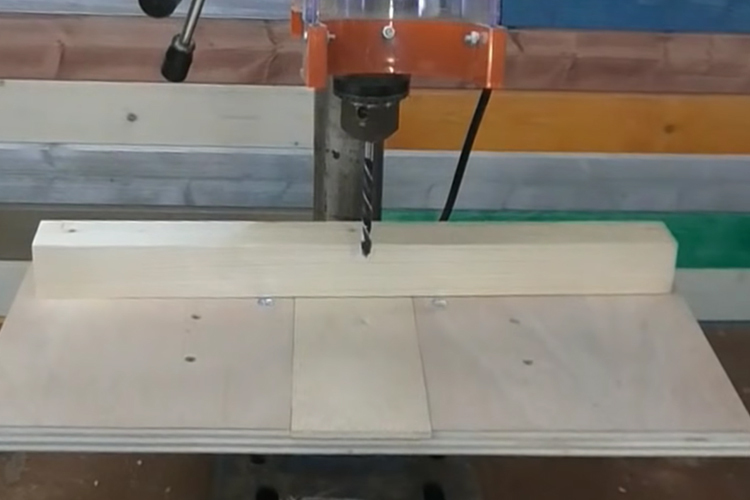 It handles 2 x 8, and 4 x 4 lumber with ease, and operates with a nominal voltage of 18-V. Also, this model of reciprocating saw allows much ease of use and easy setup. There's a tool-free blade change mechanism that makes this Black+Decker model the right product for the money. Typically, reciprocating saws have an electric handsaw that is quick, powerful, and adjustable. Unlike traditional saws, the best sawzall offers much ease of use as demolition tools. Their designs can help you in heavy-duty and labor-intensive applications. Before buying the best electric reciprocating saw, you must learn how to use them by following these useful safety tips. Regardless of the task, set the variable control knob at a low-speed setting. A low-stroke speed per minute adjustment with a heavyweight saw can help you work over long periods. This is useful because reciprocating saws often generate heat quickly. Allow the blade cool naturally and don't use water to reduce the temperature. When the motor and battery unit cools down, test the power tool at a maximum stroke rate with no load to see its performance. The steel blade should be at least 25mm longer than the material you want to cut. Put on a pair of the goggles to prevent chippings from hitting your eyes. In this buying guide, our team of experts recommended reliable products for different categories of reciprocating applications. Our reciprocating saw reviews showed you everything you need to know to before choosing your preferred product . The power, source of power, speed setting, price, weight, and stroke length are important factors that make the best reciprocating saw. So, if you simply want the best reciprocating saw in the current market, opt for the DEWALT DCS387B because this feature-rich yet affordable saw will make your flush cutting process a breeze. BLACK+DECKER BDCR20B can be yours if you're on a budget, while DEWALT DCS367B is what you need if you're looking for a compact option. So make an informed buying decision and get yours today.